Our new campus is designed with the same forward-thinking spirit through which CEU was born, and will encapsulate the enterprising vitality with which we operate today. The University's campus redevelopment– which broke ground in early 2015 – will offer a bold and welcoming public presence, open and interconnected space, with cutting-edge technology, flexible classrooms and collaborative student spaces encouraging open debate, public engagement and a lively, cohesive campus. 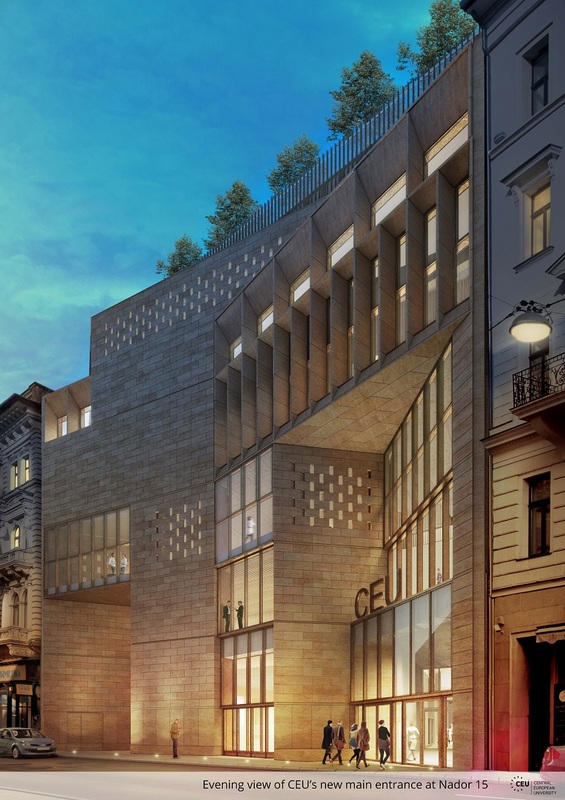 CEU is revitalizing and expanding its downtown campus in downtown Budapest to bring together ambitious academic programs into an open, connected campus that reflects its diversity and mission. The three-phase renewal began in late 2014 and will be completed by 2019. In 2016 February the first phase of CEU’s campus redevelopment project, scheduled for completion the summer, of 2016, was awarded the Planned Project of the Year 2015 in the “Ev Irodaja” (Office of the Year) competition.